We're just three weeks away from the Midterm Elections! This is a special "townhall"-style event to discuss the important issues at stake in the November elections. From local offices to the fate of the balance of power in Congress -- we'll discuss what's ahead, in a public "townhall"-style forum -- democracy at its finest! Special thanks to Nala, Rob, Erik, Louis, and Henry who participated in the recent "mini-debate" on the topics of healthcare, tax policy, and #MeToo. They will further elaborate on how these issues and themes will come into play in the Midterm Elections. Other special guests will include Marta from Micgoat (www.micgoat.com/debate) and Jess from Motivote (www.motivote.us). This month marks the 150th birth anniversary of Mohandas Gandhi. As we commemorate this milestone, we'll take a critical look at his life and legacy. - A very brief summary of his biography, including his early years in England and South Africa. - His visions for an Independent India. - His "nonviolent resistance" and the rise of the "peace movement." - His role in the India-Pakistan partition and how it fueled "ultra-nationalism." - His views on the caste system. - The purported merits of his moral philosophy (and any criticisms thereof), and any unintended consequences. 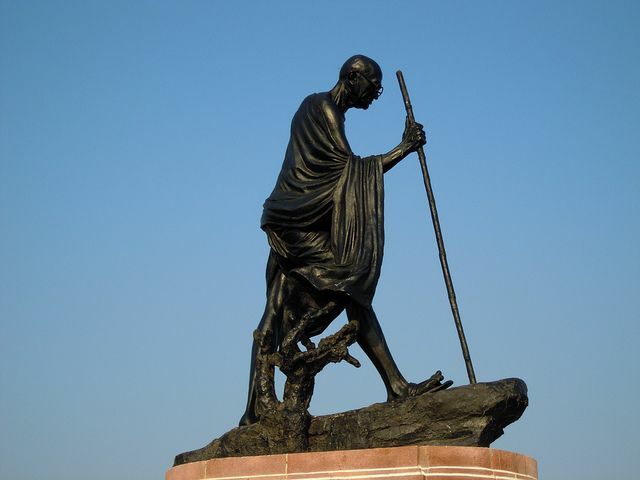 - Finally, are the views and ideologies of Gandhi still relevant today? Does he maintain any "universal appeal"? For this meeting, we'll discuss the Nuremberg Trial and Tokyo War Crimes Tribunal, and analyze its three distinct components: Law, History and Politics. The purported merits of a public trial before an international tribunal. The makeup of the trial participants, including prosecutors, defense counsels, and the panel of judges. The overview of the trial, verdict, and sentencing. Judge Radhabinod Pal of India's dissenting opinion in the Tokyo Trials. The development of international criminal law and the establishment of the International Criminal Court. A brief discussion on the outcome of WWII. The principle of "Victor's Justice." The "moral relativism" in the application of "international law." Join us for this month's featured Foreign Policy discussion, covering some of the most consequential events unfolding on the world stage. - China: the systemic imprisonment, torture, and "re-education" of the Uyghur muslims in the Xinjiang region. - South Africa: the sudden interest in U.S. foreign policy in Africa, as the attention is directed at the "land reform" policies to remedy the Apartheid-era policies. - Hungary's refusal to accept the E.U. migration quotas and the upcoming E.U. 's parliamentary vote to sanction Hungary as a disciplinary measure. The 2008 Financial Crisis -- Ten Years Later . . . Ten years ago, on this very day, Lehman Brothers filed for Chapter 11 bankruptcy. This started a pivotal three-week period that ultimately resulted in the worst financial crisis since the Great Depression. - How much have we recovered? More importantly, how are some still left behind? - Were the massive bailouts of the financial institutions justified? - Was the justification of "too big to fail" a morally plausible one? - What were the lessons learned, if any? - Are the corrective measures that went into effect (e.g., the Dodd Frank Act) sufficient in addressing the root cause? 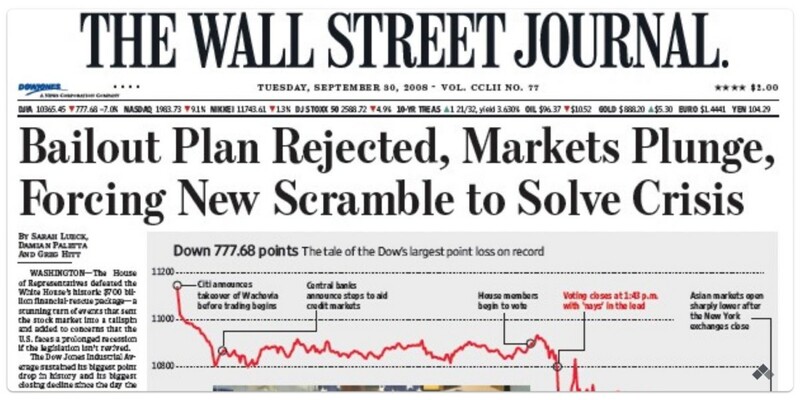 - Can this happen again -- or more appropriately, are we in a midst of another impending financial crisis? - How the financial crisis adversely affected the world market. Also the scope of geopolitical implications from the downturn of international market. - Finally, how has the financial crisis affected you personally? Did you make career changes or redirect your budgeting or fiscal priorities? Read more about The 2008 Financial Crisis -- Ten Years Later . 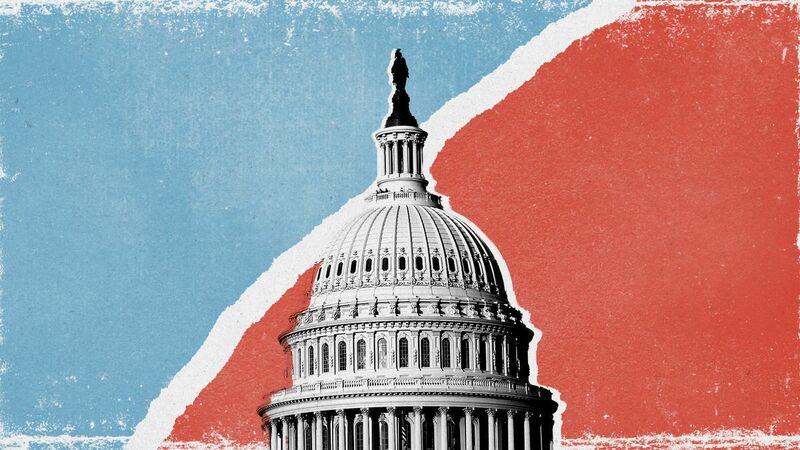 . .
We'll also preview the upcoming Congressional Midterm Elections in November, in this pivotal election year for both parties. The fate of which party controls either, or both, houses of Congress will undoubtedly advance or impede the remaining two years of Pres. Trump's first term. As always, we'll focus on the substantive policy issues at stake, rather than the "horse-race" aspect of the contests. IMPORTANT DISCLAIMER: because The NYC Political Forum is a nonpartisan organization, we do not endorse or advocate on behalf of any causes, agendas, groups, organizations, candidates, or political parties. As such, this event is for "discussion" purposes only. 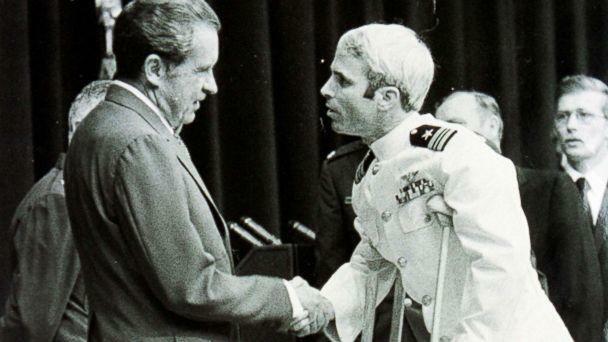 In light of the recent passing of Sen. John McCain, we'll spend a couple of hours discussing his legacy. - His military service and years of captivity as a POW. - Congressional Career spanning over three decades. - Legislative aims and accomplishments, including in the areas of bipartisan bills and laws, such as campaign finance reform, comprehensive immigration reform, and reforms to reduce congressional appropriations and waste. - His Presidential bids in 2000 and 2008. - His expertise in the area of foreign policy -- and thereby advocating the aggressive use of military force and defense spending. - His checkered relations with the members of the Republican Party. - His checked record on race relations and civil rights. - His legacy as a "Maverick." Saturday, September 1, 2018 Demystifying the "Deep State"
Premise: The deep level of distrust and disdain in many of our society's institutions are at all time low. 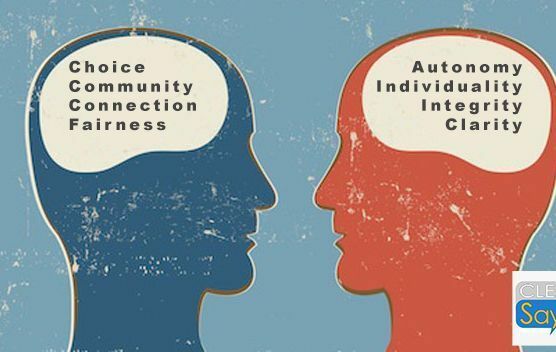 Some feel betrayed by these institutions, while others assert that they have simply outlived their usefulness, in this rapidly-changing society. Technology has fueled the widespread of misinformation and conspiracy theories. Background: For many decades, those on the Left commonly invoked the term "Military Industrial Complex" in criticizing government abuse and lack of transparency. Those on the Right commonly invoked the term "Shadow Government" to describe a similar phenomena. However, in the recent years the term "Deep Sate" has seeped into the public discourse. - Its origins and prominence, especially in the name of "National Security." - Other similar terms and phenomena, including "The Police State," "The Security State," "The Permanent State," and "The New World Order." - Emergence of mainstream appeal of underground conspiracy movements vis-a-vis "QAnon." - The notion of "entrenched bureaucracy." - The rise of government secrecy and covert operations. Read more about Saturday, September 1, 2018 Demystifying the "Deep State"
This discussion will initially start out with the five "moral statements of the righteous minds," as mentioned in the TED Talks. - On "progress" and "inequalities"
In August 2014, we hosted an epic "Immigration Debate," comprehensively debating various aspects of the U.S. Immigration Policy at the time (https://www.meetup.com/NYC-Politics/events/193436152/). The political winds have changed since August 2014, and the Immigration Debate has now become a cornerstone of the partisan divide in the U.S. I. NYC's designation as a "sanctuary" jurisdiction and the federal government's withholding of grants. We'll also discuss NYC's recent court challenge of the DOJ's withholding of grants (https://www.law.com/newyorklawjournal/2018/07/18/ny-state-city-suing-tru...). II. 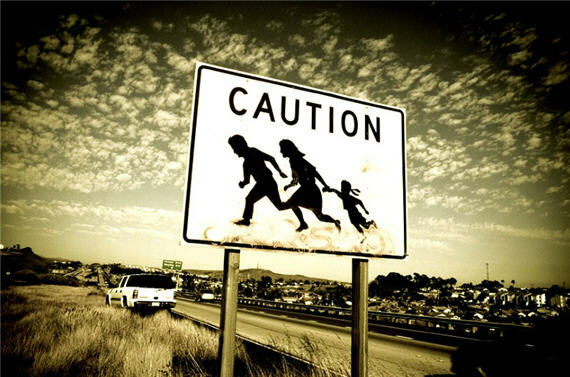 The "Zero Tolerance" Policy of separating families at the border -- the purported merits and the moral objections. We'll also discuss the subsequent Executive Order ending this Policy (https://www.whitehouse.gov/presidential-actions/affording-congress-oppor...).